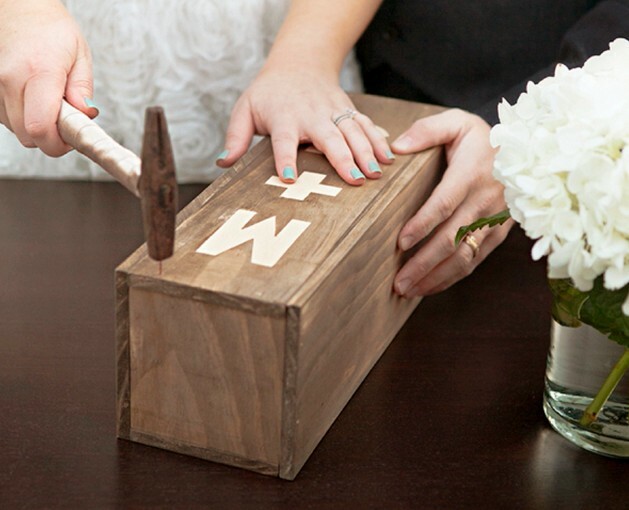 Have a wedding ceremony that is perfect for wine lover couples by having them seal a box with a bottle of wine inside using hammer and nails! Follow the tutorial on the source to create this idea. See this idea with two bottles of wine and letters written by the couple included inside the box. See several officient speech possibilities for this ceremony.